If you’re back for more baseboard business, let’s dive right in. 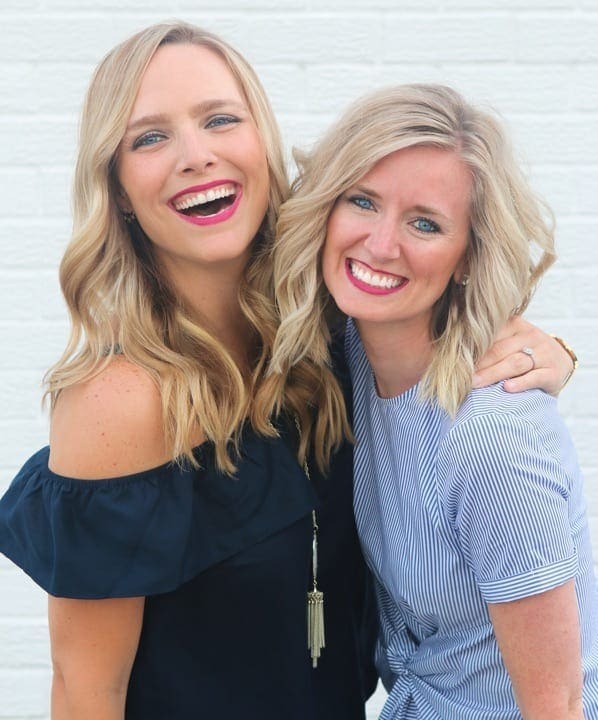 Here are the remaining steps (and lots of Rookie Tips!) 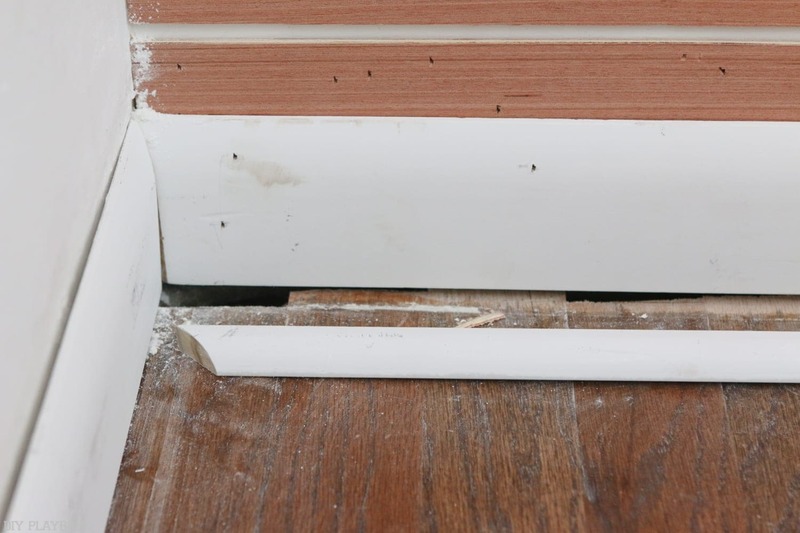 to replace the baseboard in your home. You obviously need to buy new material (baseboard and shoe*) for this project. 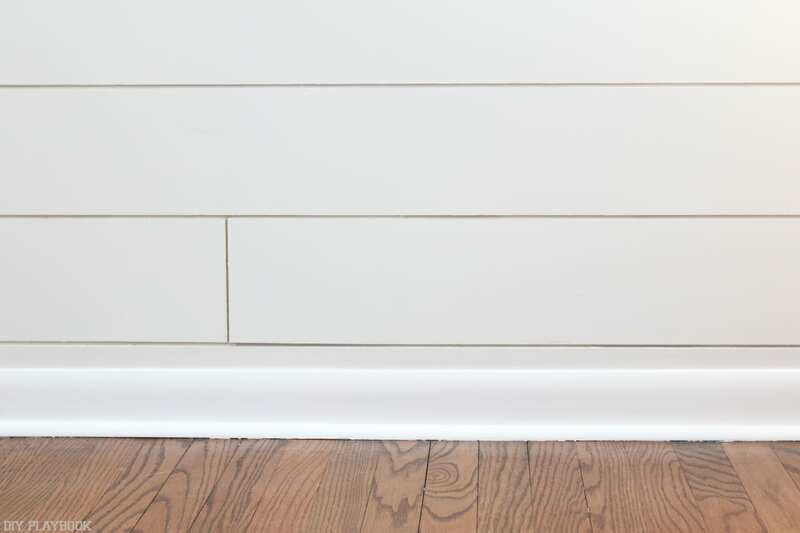 Chances are you’ll probably want to buy the same style baseboard that you have throughout the rest of your home so the new baseboard looks cohesive with the existing type. 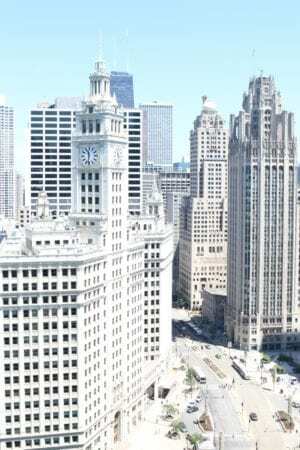 Once you know the style, go ahead and buy the baseboard. 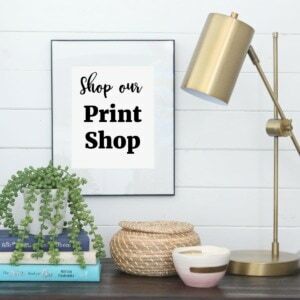 But make sure you buy pieces that are LONGER than the wall you are attaching it to. This is important because you need to have plenty of room to make your cuts on both ends and still have it fit onto the wall. 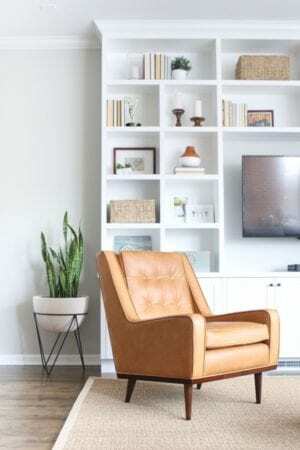 *The shoe of the baseboard is that bottom piece that juts out a little bit and is connected to the floor. Believe it or not, this is a separate piece of wood that is attached to the baseboard after it’s attached to the wall. Whatever length you buy of the baseboard, you’ll need to buy the same length for the shoe. 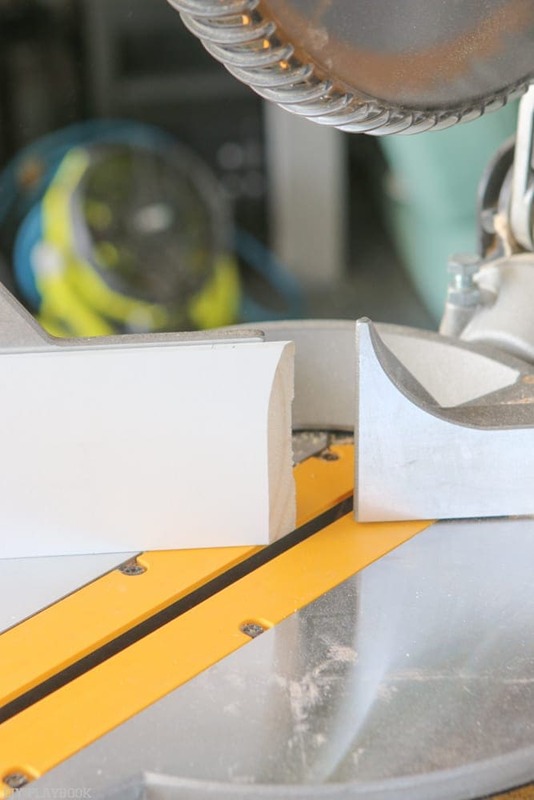 Once you have the material all set, it’s time to cut both the baseboard and the shoe to size. 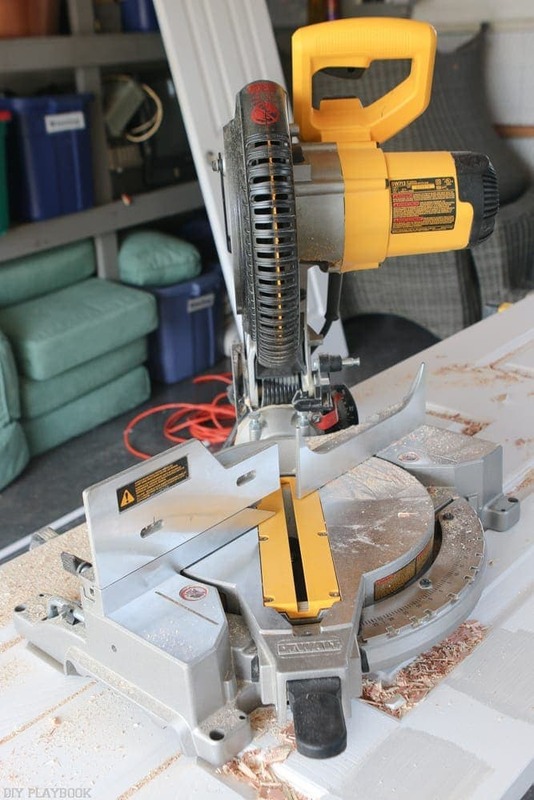 Here’s where your miter saw is needed. I usually cut the new baseboard exactly how the old pieces were cut. 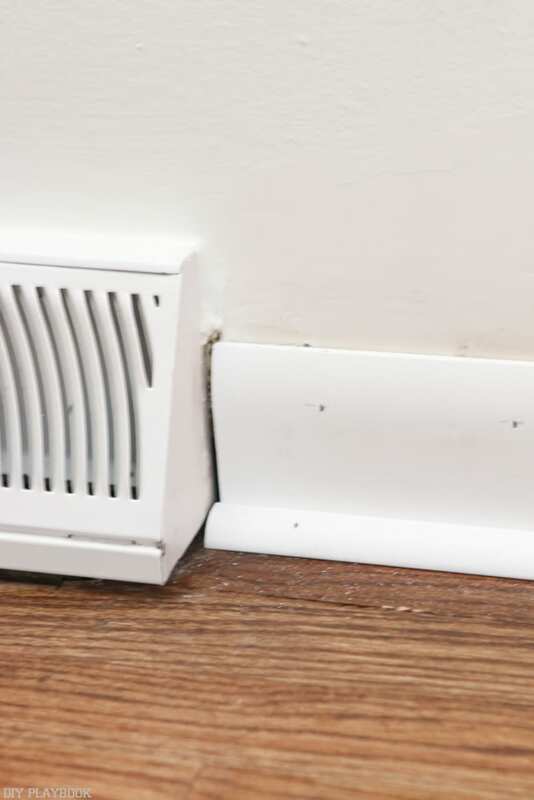 If the old baseboard butts up to a straight edge (like a vent) than you will probably cut it straight, which makes the cutting process a whole lot easier. 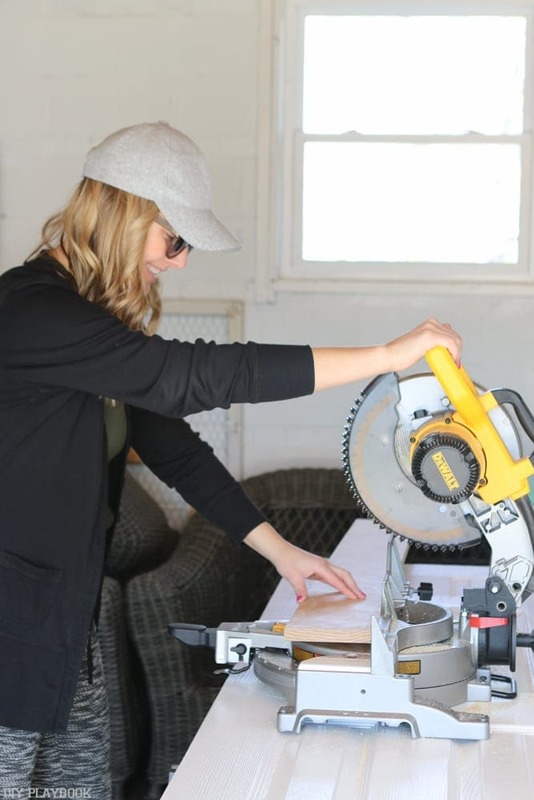 However, if you’re meeting two corners of wood then you’ll most likely be “mitering” the corners, which means cutting each at a 45 degree angle. This is necessary so that when they are matched up together they make a perfect 90 degree angle at the corner. You can see in the photo above that you make these cuts by simply moving the saw blade from 0 degrees to 45 degrees. 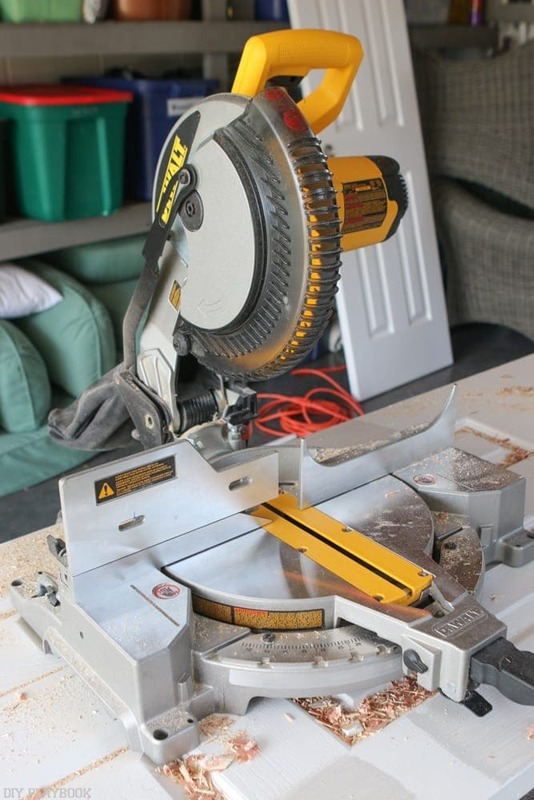 You cut it the exact same way, it’s just the saw itself that is reconfigured so that corners will be mitered. This baseboard was cut at a 45 degree and notice that it was cut standing straight up on the saw and not laying flat. To make the cut on the other 1/2 of the mitered corner simply change the 45 degree angle on the saw to the other side of saw (still 45 degrees) and make a cut. Once you put those two angles together they should fit perfectly into a 90 degree corner. Rookie Tip: This is not hard but sometimes it takes a few cuts of trial and error to confirm that you have it down (it can feel like a bit of a brain puzzle sometimes). 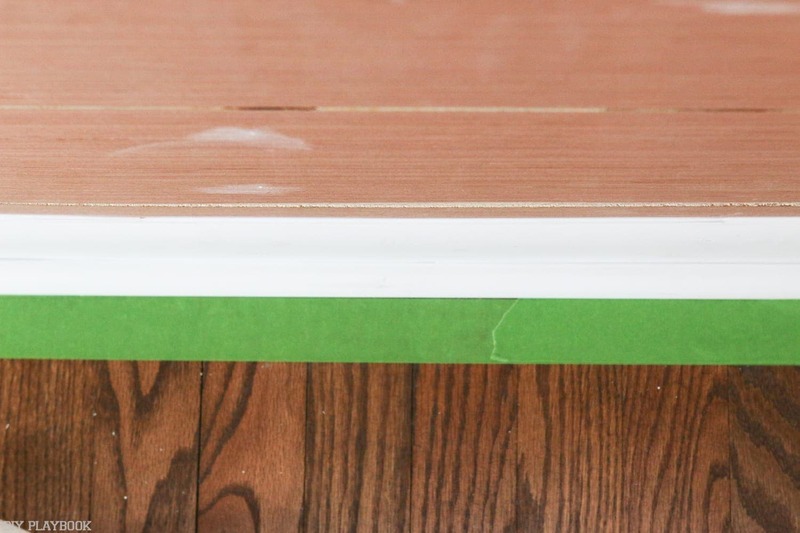 I would suggest making a few practice cuts on leftover/scrap trim so you can perfect the combo before doing it on your new baseboard or shoe. Another Rookie Tip: I usually mark my baseboard for size and then draw the angle that I want to cut. This little sketch really helps when I take it to the saw because I have a visual reminder about which angle I need to cut. Before I nail the new baseboard to the wall, I lay it along the wall around the perimeter of the room and make sure it fits like a glove (or as close as possible) before nailing it to the wall. 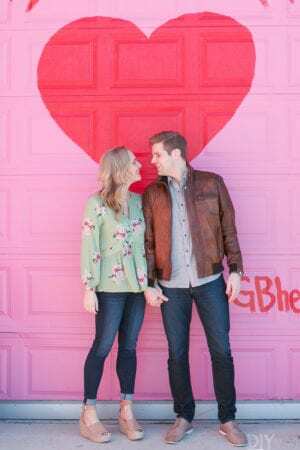 When I feel like it’s perfect, it’s time to nail it to the wall using a nail gun. 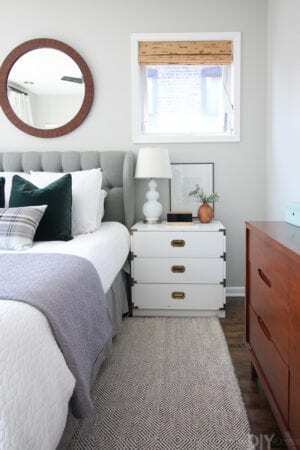 You’ll want to nail the baseboard on the top and bottom of the baseboard along the entire piece. I was a little too generous with the nail gun on this piece, but I guess it’s better to have a few too many nails than too few. Now that the baseboard is attached, it’s time to attach the shoe. Honestly you follow the exact same baseboard steps to attach the shoe. Getting the perfect mitered edges with the shoe always seems a little bit more confusing to me so I definitely take advantage of a few practice cuts before I attempt the “real” cut. 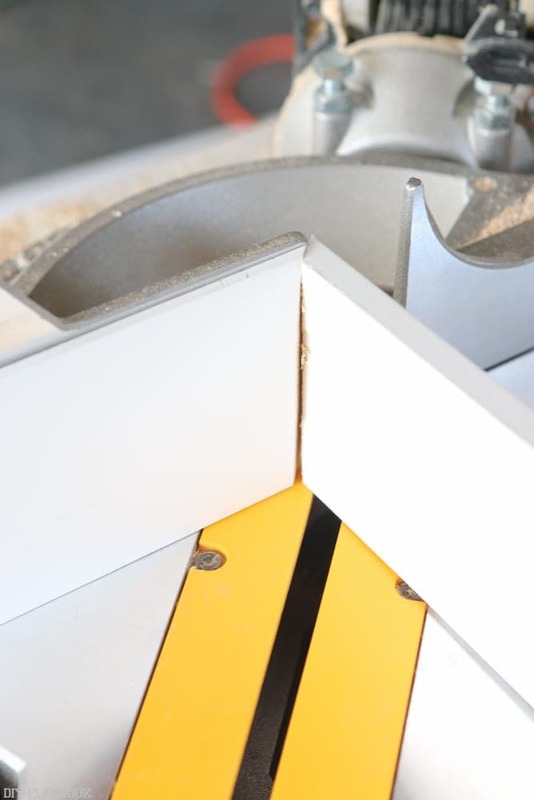 But just like the baseboard, some of the shoe may just require a straight cut… which is by far the easiest! Having too many nail holes is not a huge problem, but it does make this step a little more time-consuming. 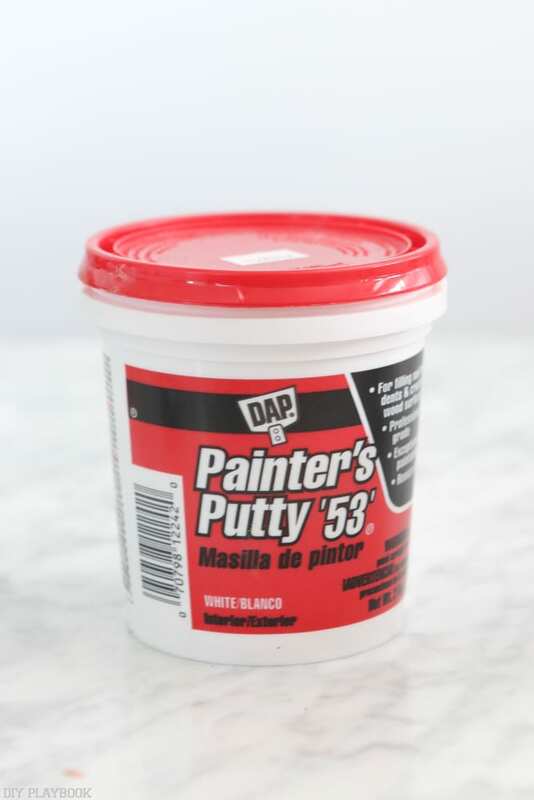 Take the putty and fill in all of the nail holes on the baseboard and shoe. Once it has dried, you can lightly sand off the excess so it’s a smooth surface and ready for primer/paint. 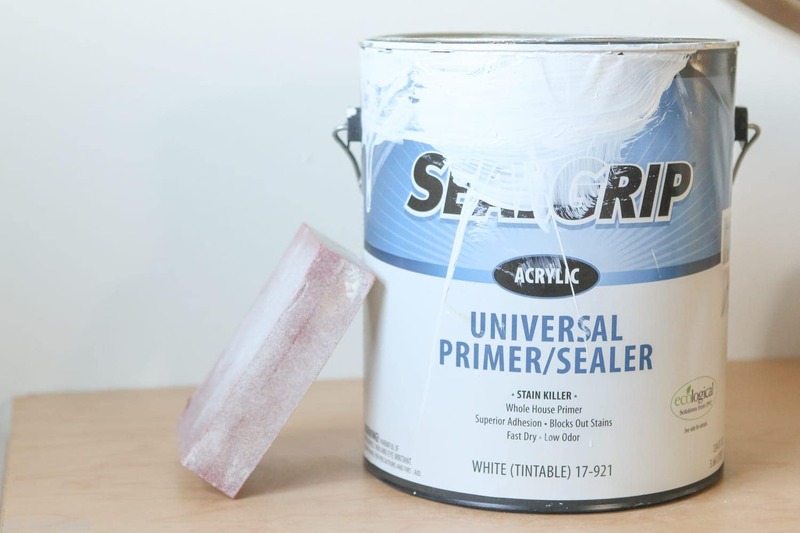 If you’re tackling white baseboard and trim, caulk is your BEST FRIEND because it can help mask some of your less than perfect cuts. 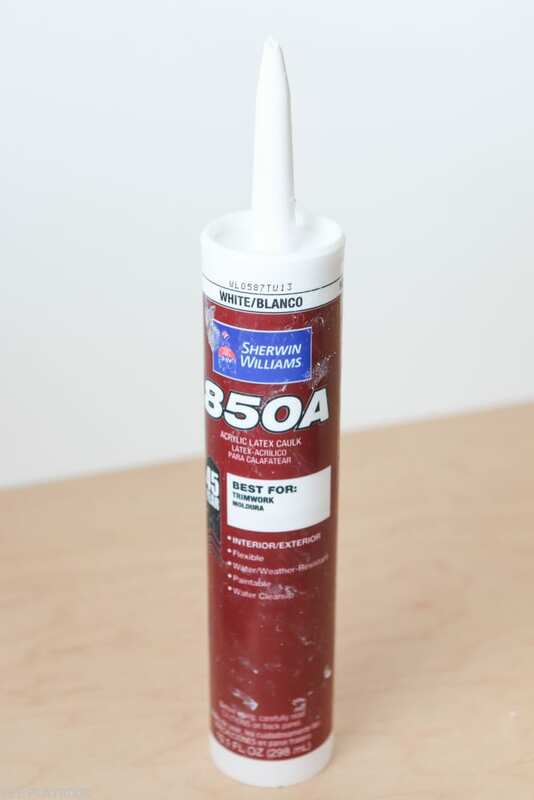 I like to use bright white caulk (to match the bright white trim) and caulk that is specifically made for trimwork. As you can see here the photo on the left is a straight cut that was cut just a hair short. But after caulking the edge, you can hardly see this tiny imperfection. 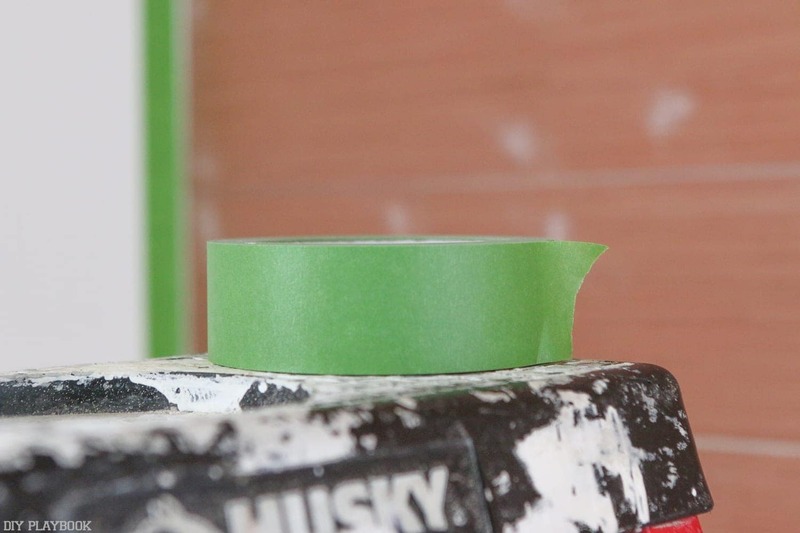 This same idea goes for all of your corners of both the baseboard and the trim! 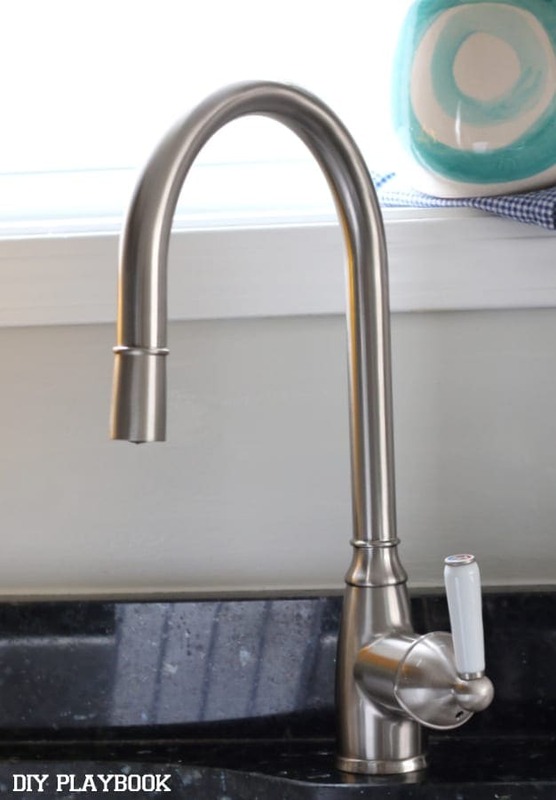 <— caulk makes the finished project look a LOT more professional. 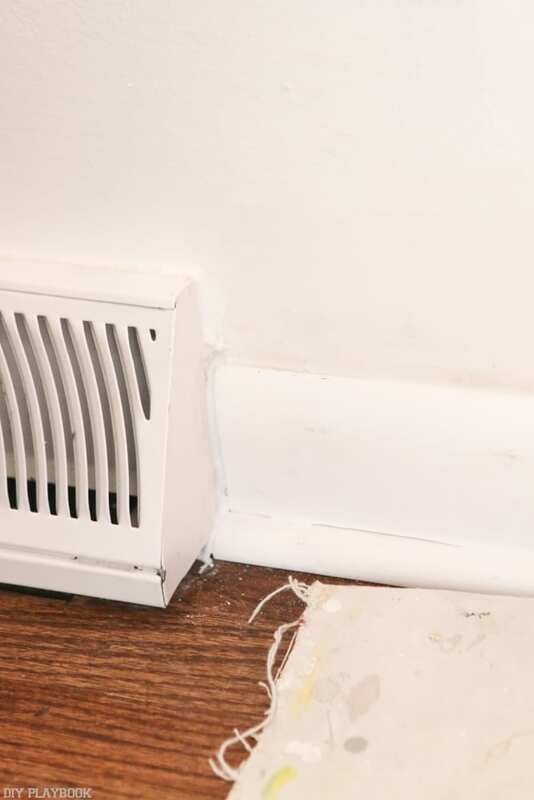 You’ll also want to caulk the space in between the baseboard and the shoe (if there are any gaps or inconsistencies), where the shoe hits the floor, as well as the seam where the baseboard hits the wall. Once the caulk is dried, it’s time to finish this gorgeous new baseboard with a few fresh coats of paint! I typically tape everything around the trim (floor, walls, outlets, etc.) so that I don’t make a mess. Then it’s time to prime and paint. I typically put one coat of primer on the baseboard followed by a light sanding to remove anything left on the baseboard. After that it’s time for a coat of bright white, semi-gloss paint. 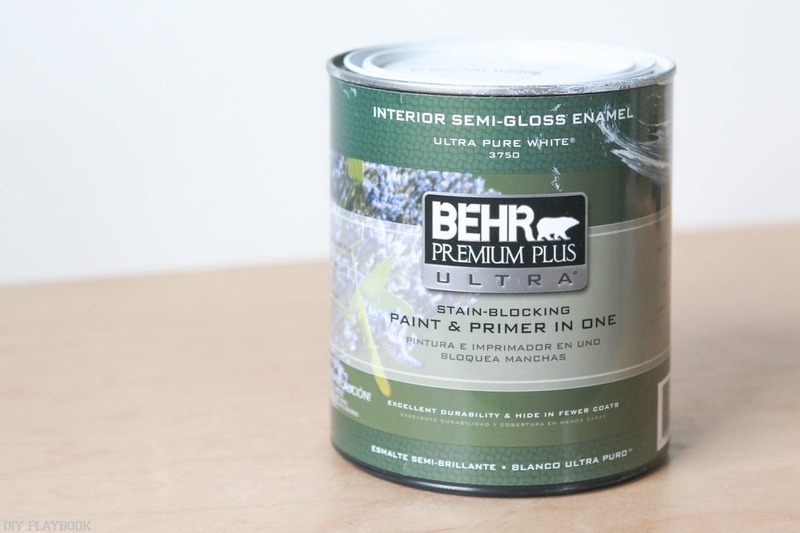 I used two coats of this paint just to make sure the baseboard was covered well, but you may only need one. Rookie Tip: Most trim is painted with semi gloss because it’s the easiest to maintain/clean and it offers a good contrast next to the wall, but honestly this is personal preference! Much better right?! I love that after the caulk and paint the cuts looks perfect, even if they weren’t exactly perfect (our little secret). 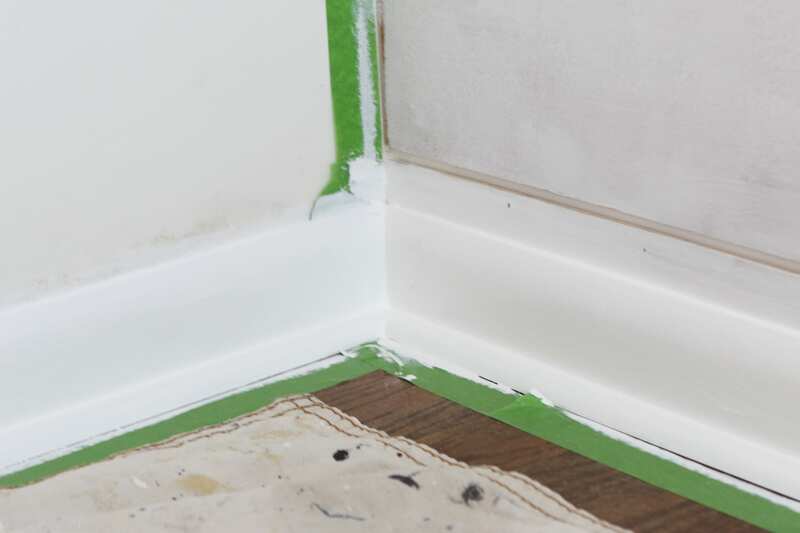 After the trim is painted and dried you can add tape the top of the baseboard and paint the wall that you previously patched. Once the wall is painted (if necessary) then your job is just about over!! Is it already time to clean-up?! Peel up the tape, fold up the drop cloths, and clean up the area. 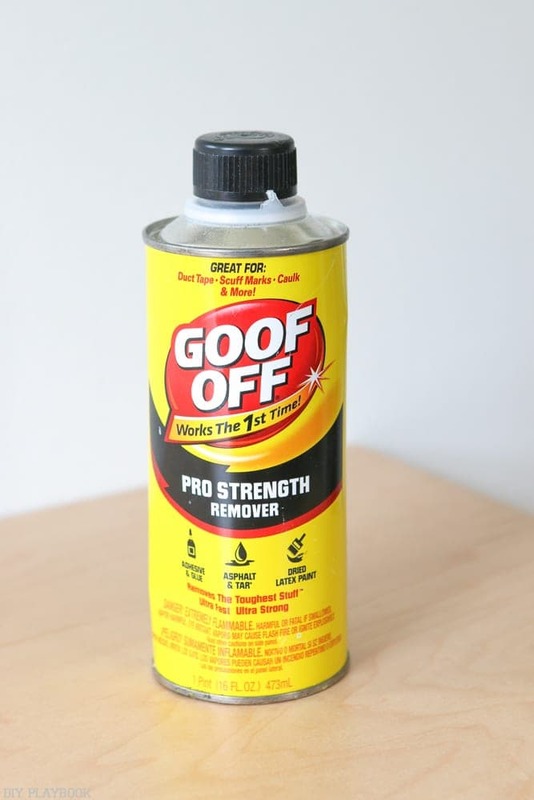 If you’re left with any paint stains on the hardwood floor I like to use this Goof Off to clean up those little drips. You add a little to a cloth, wipe up the specific area, and it should wipe right up. DISCLAIMER: Please test this product on your hardwood floors in a place that is not visible (maybe in a closet). Make sure it dries without impacting the finish of your floors before using it throughout the whole room. 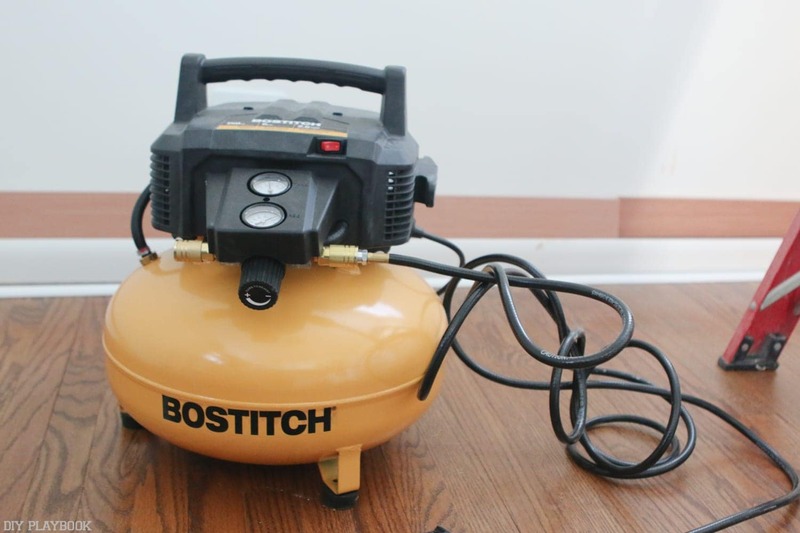 This product doesn’t have any impact on my floors, but that may not be the case with your floors depending on their finish. 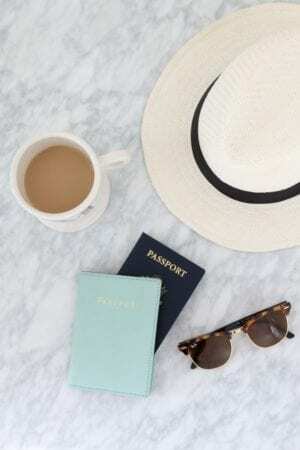 <– Better to be safe than sorry!! 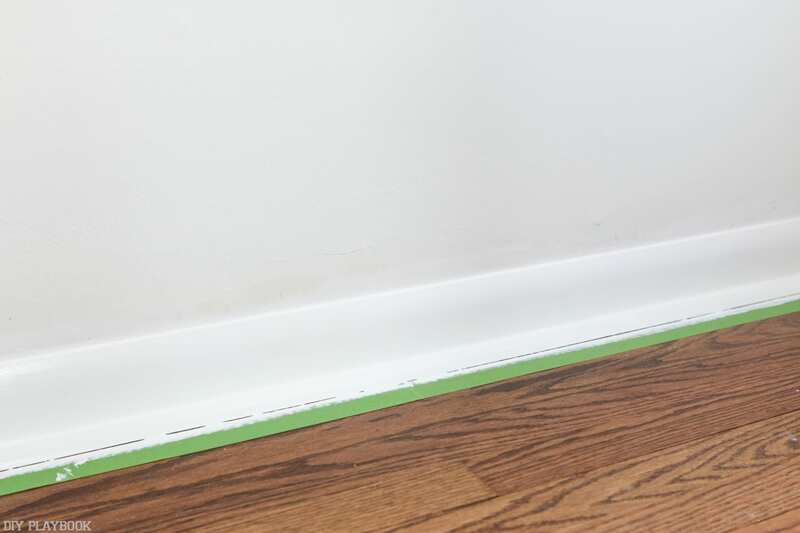 And just like that, your new baseboards are all done… and most importantly, you DIY-ed them! 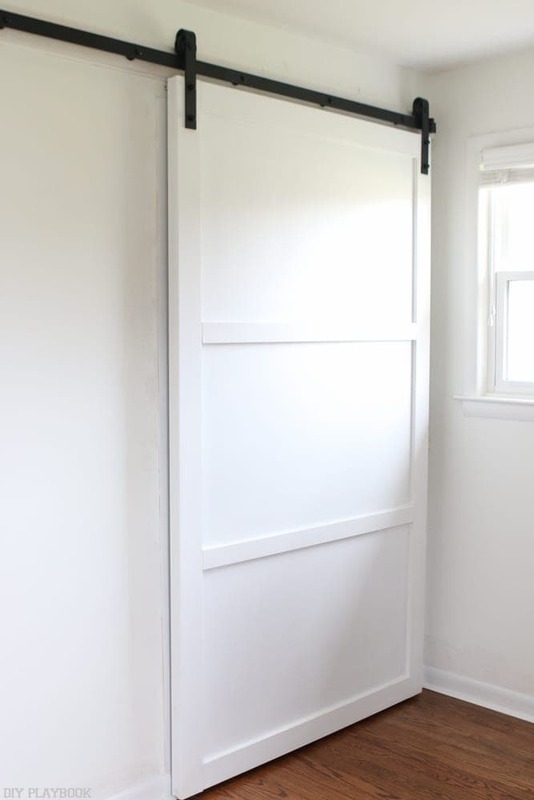 Replacing all of the baseboard in your entire house may be a little overwhelming at first, but trying this out in one room will help you gain confidence in your skills and prove that you can do this, one step at a time. 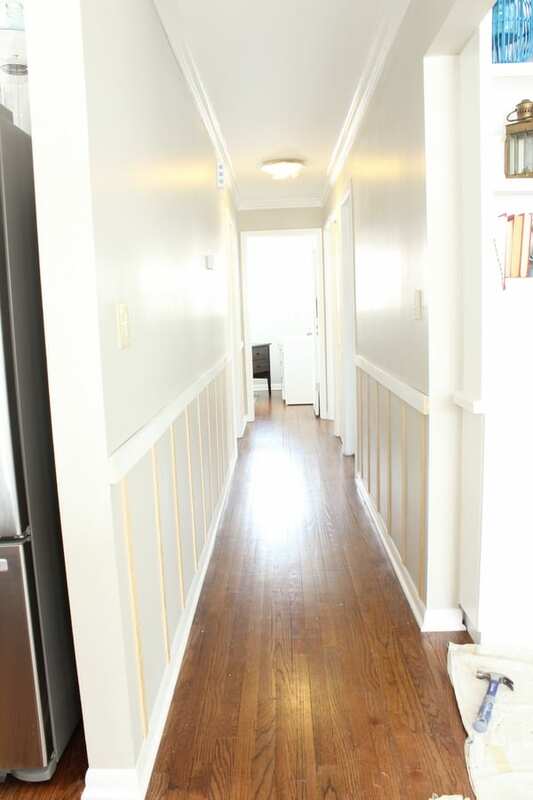 My goal this summer is to replace a lot more old and grungy baseboard in other parts of our home. If you would have told me that I would be replacing baseboard throughout our house a year ago, I would have laughed at this absurd idea. But now that I’ve tackled a few smaller spaces, I feel more than capable of replacing the baseboard throughout the house. And now that I see what a difference this simple upgrade makes, I’m a lot more motivated to do so. 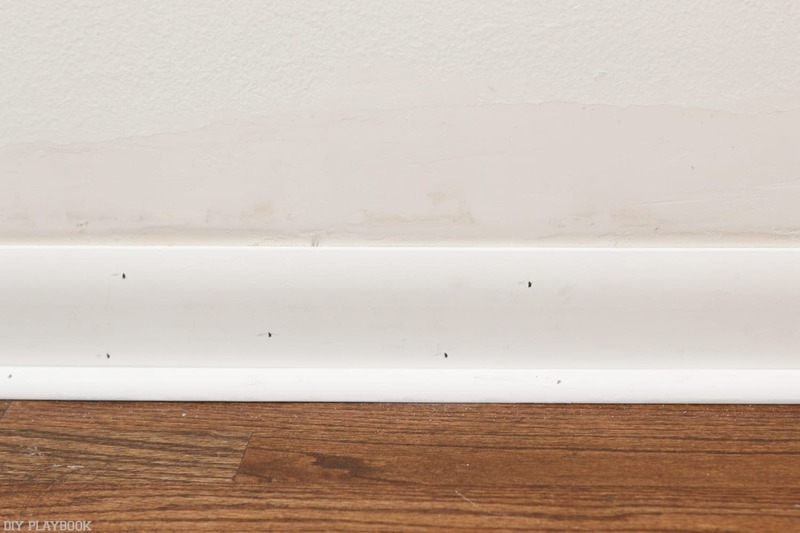 Not sure how to get the old baseboard off and prep your walls for the installation of new baseboard? 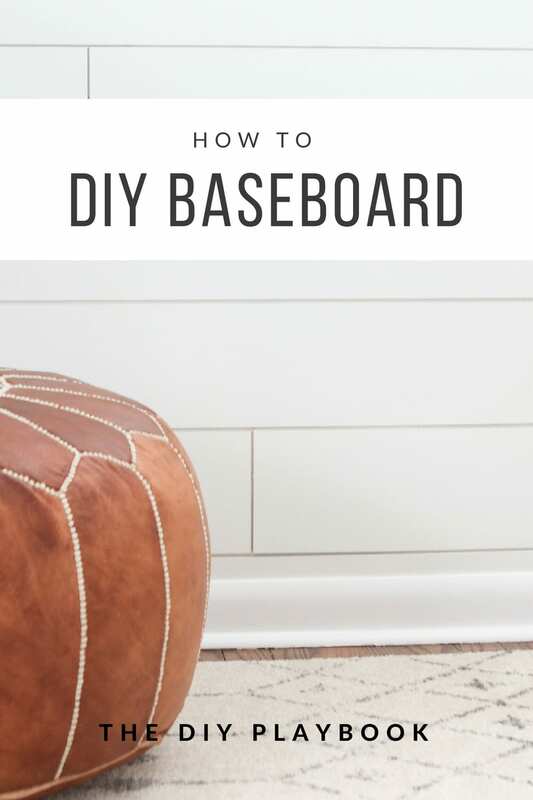 Check out this DIY Baseboard Tutorial!